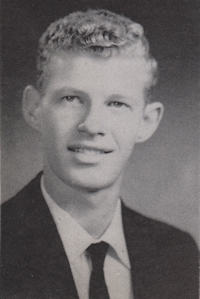 Obituary – VanCoevering, Glenn Edgar « Perry High School Alumni Association, Inc.
Wrestling 55-58; Assemblies 55-56, 57-58; Track 55-56. 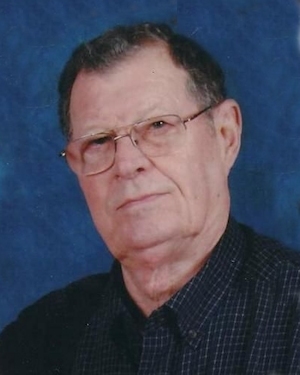 Funeral services for Mr. Glenn Edgar VanCoevering will be held 10:00 a.m., Saturday, September 28, 2013 at the Chapel of Cox Funeral Home of Bastrop, Louisiana. Reverend Kyle Peters will officiate the services. Interment will follow at Memorial Park Cemetery in Bastrop under the direction of Cox Funeral Home. Glenn Edgar VanCoevering was born January 20, 1940 in Oklahoma City, Oklahoma to the late William Adrian and Beulah Murphy VanCoevering. He passed away peacefully, surrounded by his family, on September 24, 2013 at his beloved home in Collinston, Louisiana. Mr. VanCoevering was a graduate of both Perry High School and Oklahoma State University. He received degrees in electrical, mechanical, and instrumentation engineering. Glenn was happily married to Barbara Ann Patch since 1958 and the father of three children. Mr VanCoevering was an Eagle Scout and leader in the local Boy Scouts organization for several years. He retired as the Power Plant Superintendent from International Paper Company after 34 years of service. He was also the owner of Apollo Properties. Glenn loved German Shephards and had several as pets through the years. In 1974, he was an obedience instructor at the Mobile Bay Dog Training Club. In 2009, Glenn and Barbara were honored in the Cotton Festival Parade for their community involvement. October 24, 2009 was designated as Glenn and Barbara VanCoevering Day. His hobby was woodworking. His last major project was to build his own house using lumber from the trees on his property for the cabinetry. It was here that he enjoyed exploring his land in his ATV with his loyal dog, Buddy. Mr. VanCoevering is survived by his wife Barbara Ann Patch VanCoevering and his three children, David VanCoevering, Keri VanCoevering Hindmon, and Paul VanCoevering and his wife, Melissa Lynn VanCoevering. He is also survived by two brothers, Darrel VanCoevering and his wife, Michelle Girts VanCoevering and Lary VanCoevering and his wife, Lynn McCormick VanCoevering; seven grandchildren, Crystal VanCoevering Harris, Teri VanCoevering Lingefelt, Michelle Lewis, Ross Hindmon, Jessica Hindmon, Taylor VanCoevering, Jacob VanCoevering; and seven great-grandchildren, Harlee Harris, Kayte Harris, Natalie Alexander, Hannah Alexander, Jordan Lingefelt, Joseph Lingefelt, and Mallory Nugent. The family will receive friends Friday, September 27, 2013 from 6:00 p.m. until 8:00 p.m. at Cox Funeral Home of Bastrop. Friends serving as pallbearers are Mike Peevy, Leroy Cureington, Ricky Curtis, Rusty Gean, S.E. Thompson, Jr., and Gene McAllister. Serving as Honorary pallbearers are longtime friends, Flint Robertson, Bill Landry, Marvin Wallace, Neal Young, and Robert McClusky.